A Refreshing Morning with Rohit Bhaiya! | Diaries of Swapnil. A Refreshing Morning with Rohit Bhaiya! 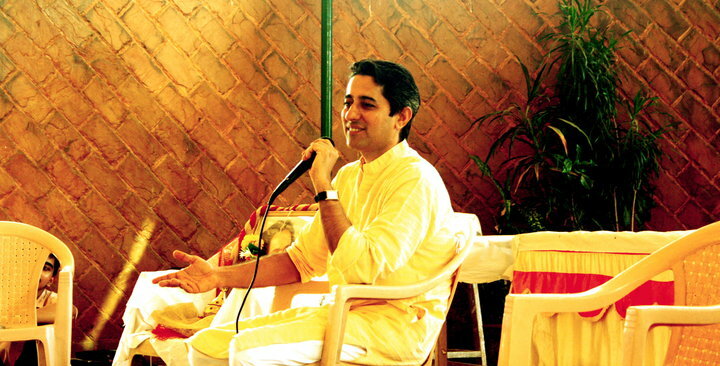 here’s an excerpt from of what happened in session with Rohit Bhaiya at Bandra last morning! This person is so amazingly exceptional! Its difficult to capture the essence of what he says at times! And so he goes n talks to his bhai.. that pls do talk and interact with us all and not just with ur gf! So the person keeps feeling the girl separated the relations! Bhaiya says.. who are you, to say, to ur younger brother, that he should have good relations with parents! stop being mothers postman. He is a big man and i hope knows how to deal and give time! Common he has had gf just now.Let him enjoy bit and give him some time & space! as a person he knows what to do! Further if you do have problems with his Gf.. without knowing her.. dont make biased statements.. Get to know her. Dont fight on the invisible! Somebody asked : how to deal parents! Its like, i do my things but when i tell them of going for AOL they kinda are so unsupportive! I mean i did give them ideas that how would i move ahead in my life and my vision and instead of giving hope, they discourage me! They keep saying mere se nai hoga n all and whats the point doing and all. I atleast expect some encouragement from them. Arey my dear.. jisne poori zindagi..do waqt ki roti milne ke liye bitayi.who dont do anything to feel inspired. unse kya inspiration ki apeksha rakhte ho. Parents: they dont practise & feel what you do. Toh don’t expect them, to give affirmative and sensitive replies! they might appear rude & harsh! They just want you to listen to them.. Most of the time they just want you to listen! So if you are firm about not acting to what they say and feel you could do much better then dont fight or defend them and get irritated. Just sit and listen with a patient mind. Get them to do course and let them also feel the bliss! then you can talk On one level! Till then its difficult to explain them d high of 3S’s Sadhana Seva Satsang. What do you do, to feel nice in day, to feel refreshed? Nothing much consciously right. Start doing. Recognize & with wisdom manifest! Why do you do sadhana? Because it gives you rest, peace of mind, for those few moments you feel good, you feel doing sadhana will help you achieve it all. But a time comes when with deep rest, you enjoy your sadhana, where not only you experience rest, but good too and till that time keep doing! Ohkay sometimes its difficult to act on negativity as you dont know what to do, whats happening and how to get out of it soon! All these things happen when you lack Sadhana, when you don’t live knowledge or refresh revise your knowledge. One thing is Do your kriya.. that helps. Second, those who possess such energy, like volunteer teacher.. talk to them. Best is: Go for advance course.. Even the lowest of low prana can feel the high and come out of lowness. and regularly Do talk, share and feel free with teachers! Relationships Trust and Space !